KILMARNOCK FOOTBALL CLUB So a little bit about myself and why i have chosen the team. I actual come from a town in Lanarkshire which is about 15 miles east of Glasgow. Kilmarnock have been improving over the last few seasons in the SPFL and have had some good results and not so good ones as well,my aim will be to try an break the dominance of Celtic and Rangers and compete for silverware. They have also done well with bringing players up through the youth ranks with notable former players and international Kris Boyd still at the club, Steven Naismith (Hearts) and Cammy Bell (st johnstone) A player that i have always liked who used to play for Blackburn,Rangers and Galatasaray is Tugay Kerimoglu,has been put in charge of affairs at Rugby Park,a man who quietly goes about his business. I have loaded up Scottish,English,Northern Irish/Irish,and Turkish giving me a player count of about 45,000 which will be fine I hope you all enjoy the thread. Without Further Ado let me introduce you to Kilmarnock FC then... Kilmarnock Football Club, commonly known as Killie, is a Scottish football team based in the town of Kilmarnock, East Ayrshire. The club has won many honours since its formation in 1869, most recently the 2011–12 Scottish League Cup after a 1–0 win over Celtic at Hampden Park. Kilmarnock Football Club is currently the oldest football club in the Scottish Premiership, and are also the oldest professional club in Scotland. Home matches are played at Rugby Park, a 17,889 capacity all seater stadium situated in the town itself. Kilmarnock took part in the first ever official match in the Scottish Cup against the now defunct Renton in 1873. Kilmarnock F.C. have a long standing football rivalry with fellow Ayrshire side Ayr United, with both teams playing frequently in the Ayrshire derby in which both sides first met in September 1910. Kilmarnock have long been the most successful side in the Ayrshire derby, winning 189 times of 225 meetings. The club have qualified for European competitions on nine occasions, their best performance coming in the 1966–67 Fairs Cup when they progressed to the semi-finals, eventually being eliminated by Leeds United. The club is also one of only a few Scottish clubs to have played in all three European competitions (European Cup, Cup Winners' Cup and the UEFA Cup). Afternoon all, I have found out early March will be when the update will happen. I am looking for ideas of who to manage? I'm feeling maybe Sunderland or Inter Milan. I usually like to manage English teams but I also like the Bundesliga, Serie A and Ligue 1. HI There, Im pretty much a novice in the world of fm and i continue to struggle with each version to keep saves for more than a season i had a career with Sporting that i started a month ago and wrote about here but i couldnt keep up with the tactical creator and grew frustrated with it. But recently though still culpable to a draw or a loss, i feel comfortable enough to engage in a long term save, so some words of encouragement and some advice from the veterans of the game would be great to be honest. Till then , Here i go. In Almost the entire history of Scottish football , two teams have been dominating the headlines and championships. Even though the standards have slipped in Scottish football among Europe's Elite , both Celtic and Rangers seem to be content as the front runners in Scotland. 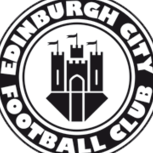 In comes Edinburgh City F.C so here's some info on the club. I wanted to start with a club that doesn't have that much of a history and need to start somewhere Edinburgh City Full name Edinburgh City Football Club Nickname(s) The Citizens Founded 1928; 90 years ago (original club) 1966; 52 years ago (present club) Ground Ainslie Park, Edinburgh Capacity 3,000 (504 seated) Chairman Jim Brown Manager James McDonaugh League Scottish League Two 2017–18 Scottish League Two, 9th of 10 Website Club website Home colours Away colours Third colours Edinburgh City Football Club are a part-time professional senior Scottish football club, which plays in Scottish League Two, the fourth tier of the Scottish Professional Football League. The club play at Ainslie Park in Edinburgh, while redevelopment work takes place at Meadowbank stadium. A club known as Edinburgh City was first formed in 1928. It participated in the Scottish Football League in the 1930s and 1940s, but went out of business in the 1950s. The present club adopted the Edinburgh City name in 1986. It applied to join the Scottish Football League in 2002 and 2008, but failed to win election. Edinburgh City became members of the new Lowland League in 2013. The club won the Lowland League championship in 2015 and 2016 and won promotion to the Scottish Professional Football League in 2016. Thats it for now , ill need to analyze the squad for league two in scotland and work through preseason. Hopefully ill update this blog by the end of preseason. 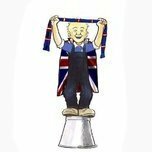 Morning/afternoon/Evening wherever you may be.. Decided in earnest to get my career thread up and running with my beloved Rangers on the BETA as it seems to run fine from what ive seen so why not? As its been well documented Rangers have been in some turmoil the last few years but have since been on the up with maybe the exception of the disastrous appointment of Pedro Caixinha last season and before him Mark Warburton who didnt do that bad as Pedro did. But times have changed and none other than Liverpool and England legend Steven Gerrard has been named as Rangers manager so how well will he do when replicated in FM19? Stevie G has a burning desire to get Rangers back to there glory days the work starts at Ibrox immediately. Whats the objective of the save? The plan is to play as Rangers for as long as i can possibly continue restoring Rangers to there former glory,and whatever else happens will happen. Game Details Only Scottish and English leagues will be loaded with all other nations on the main screen of FM set as "View only" and in the advanced settings option a medium sized database giving me a player count of about 95-100k giving me enough for a decent game overall.There are no other edits with the exception of the real name fix available form sortitoutsi.net So as Stevie famously says "lets go"
Hi, when i was a kid i completely loved Arsenal,i don't know why i just did. And i still love Arsenal just as much as the 1st day i knew about the existence of that team and it feels bad knowing that they haven't won a Premier League since the 03/04 season. I don't know what it is about me that tends to support teams that don't win the league for over a decade such as Liverpool, the last time they won the Premier League i wasn't even alive ( 89/90 ) another team i love and support more than any other team is Sporting CP ( i'm portuguese btw ) again... They haven't won the league since 01/02, but we're not here to talk about other teams so let's move on! For now this is going to be the only tactic i will be using: I started the preseason by arranging new friendlies against small teams to boost the moral of the team and these were the results: Besides that 2-2 draw it was a pretty good preseason, something you'd expect when playing a big team and playing against team's nobody has ever heard of ( no offense if you know or support any of these teams ) Played the game against Chelsea for the community shield ended up getting destroyed even though they only managed to make it a 1-0 loss for us. Moving on! 1st game of the Premier League, our mainly focus of the 1st season. Things started bad for us when Crystal Palace scored on the 26th minute. We managed to score just before half time 2 goals but unfortunately for us they both got disallowed... 87 minutes into the game, it was looking like a loss for us but Olivier Giroud ( 66th minute substitution for Lacazette ) came in HOT and scored the equalizer for us! Game stats below. Not off to a good start but it was only the 1st game of the season so there's still plenty of time to turn this 3 point gap. I'll keep you guys updated throughout the season! Next game was against Everton. A nice 2-1 victory and once again Olivier Giroud saving Arsenal with a late goal after getting into the pitch. He seemed to be playing rather well so i decided to give him some 1st team football. Huddersfield was next and our best scorer was on the pitch from the beginning now. 10 minutes into the game Giroud gets injured. Half time and we were losing 2-0 but luckily for us we managed to score and get another draw. Stoke City now ! We were better than they were but we only got a 1-1 result... Another draw. I think it was clear that the tactic wasn't performing well so i decided to remove all the changes i made to the Team's Instructions and put the mentality back on standard and team shape on flexible to start from scratch. This is our Europa League group by the way. Not a hard group we should go trough to the next stage. We played 2 more games, one against Lokomotiv Moscow for our 1st Europa League game and we won 3-0 another one against Newcastle and guess what? Another 3-0 victory! Seems like the key to success is to keep things as they come choose your formation and win games no instructions needed! xD This is our schedule and league table so far. Remember i said Giroud got injured in the 10th minute of the Huddersfield game? Here's all of the injuries we currently have. I'll keep you guys updated throughout the season ! Our next game was for the Carabao Cup 3rd Round against West Ham. 2-0 Victory! Things are starting to look good for us. Next we have a big away game against Manchester City. We won 3-1 even though they were superior most of the highlights were for us. Our 2nd game of the Europa League group stage was against AEK. AEK is not a hard team to beat and we showed that by making a goal festival on their home, 5-0 for us! Next we had another hard game against Leicester City who are doing awful in this start of the season they were in 20th when we play against them, but they still have a great team and should not be underestimated. Fortunately we kept our good run with a 1-0 victory. International break is here and this is how things are going for us. Im gonna keep playing and i'll update this when i get another big game! Tottenham came next, it was a hard game we were up 2-0 and they scored 1 goal near the end making it 2-1 final result. They played much better than we did it was a lucky game for us. The next game was against West Brom for the Carabao Cup, we dominated possession but shots were pretty much even as you can see below. By this point i was playing the tactic that i recently had made and it seemed to be working pretty well, possession and high pressure football so we can have the ball at all times and when we don't have it, we recover it fast. Our 5th game for the Europa League didn't go so well, it was against Lokomotiv Moskow away from home and we managed to score the equalizer on the 89th minute. Also, Reiss Nelson made his debut for the 1st team and got a rating of 8,6 along with the Player Of The Match award. Not bad at all for the young star's 1st game. The next 2 games were against the big boys, Chelsea and Manchester United. We were in second 1 point away from the 1st place held by Chelsea. Manchester united were 3rd, 5 points away from us so those 2 matches were really important. As you can see we were better than Chelsea but couldn't score. The 3-1 loss against Manchester United really made me think this might have been the start of a bad run, the last 3 games 2 draws and 1 loss not good... Luckily i was wrong, we won the next 2 games 3-0. We qualified for the next Europa League stage and got placed against Maccabi Tel-Aviv. It should be pretty easy to be honest. We finally played against Liverpool and this was the result... Carabao Cup! Again... 1-0 victory After that, we've drawn against West Brom 0-0, won 2-0 against Crystal Palace and lost 2-1 against Everton. Christmas has arrived and this is what our schedule and league table looks like so far. Transfer Window is open and im trying to sell Özil and Sánchez because lets get real here, Özil is 29 even though he's an amazing player his value will only start to drop from now on and Sánchez wants to leave at the end of the season. Im thinking about buying Thomas Lemar to replace Sánchez but there might be better options for the future, if you guys know any please let me know! The Frank Lampard Career Journey Seeing today that former England International Frank Lampard has been announced as the new manager of Championship side Derby County, I’ve decided today is the day to begin a story and beam myself into the future. As he was only appointed today, I’ve decided to use the “holiday man” to sim FM18 right up until the 1st of May 2018. This will give me enough time to introduce the unemployed manager Mr. Lampard, armed with his recently acquired Uefa A License and his English International footballer career, into the pressure cooker of the English second tier in Football Manager 18. My initial aim will be to take the, (hopefully vacant by then) position of a well-supported Championship club, that finished at least in the top half of the previous simulated season and try get them promoted or challenging for promotion to the Premier League inside the first two or three years. I also will require a club with good youth facilities as Frank said today in his first press conference that he wants to introduce the club’s youth into the first team. In the long term, the aim will be to be offered a return to Stamford Bridge as manager and become the most successful manager in Chelsea’s history. Another target for Frank is the England job, where his target will be to restore the English nation to the dizzy heights of ’66!!!!! Hello folks and welcome to my thread. After the corruption of my Everton save from a few months back,ive decided to get another career save on the go,this time starting unemployed with pretty basic managerial stats,that being of a professioanl footballer),Local level with no coaching badges.Ive loaded in the leagues from the British Isles,including the republic of ireland all down to there lowest level giving me a player count of around 35,000,this should do me just fine i reckon. I am also using TheFMEditor's update from over at FmScout so you may see teams moved about divisions as per real life this is why.It can be found here.. https://www.fmscout.com/a-thefmeditor-fm18-data-updates-and-england-lower-leagues.html Meet Davie Mcdonald from Glasgow,the rookie manager is taking his first steps into the managerial circus Time to hit the jobcentre and see where we end up... With several teams in the lower reaches of England available it seems more than likely that this will be the starting point,im going to let the clubs come to me with offers. Glentoran who play in the N.Irish Premiership will be my first application,surprised they have approached me to be honest.. Hartlepool United who have been on the decline for a few seasons now it seems is another option.. And Dagenham&Redbridge who ply there trade in the Vanarama league is my last option. So I've seen on a few threads people creating their own Twitter posts to use in there career threads / stories. Anyone fancy letting me know how to do these as I want to do some for my next career thread. Cheers guys. The year is 2032. The aim is simple. Travel around the world and find success to build up a reputation in which I'm sought after by some of the world's elite. What is success? The answer is the same for most people, titles, championships, trophies and that is the eventual goal. This might be tough starting with a minimal reputation though so success early on would be most likely be saving teams from relegation, or exceeding targets set by the board.. If you've seen any updates from any of my other saves you'll know that I tend to holiday the save into the future, where some of the wonderkids are well into their 30's and the game is dominated by regens - an immersive storytelling experience which makes things more interesting for me. So that's what has been done here. I holidayed to 2032 with several World leagues loaded. I have two editor updates which are the English Non-League down to Tier 10 and Claasen's World Leagues pack. For the holiday section, I had all leagues from England, Germany, Italy, France, Spain, Scotland, Brazil, Argentina, Columbia, Ecuador and Holland. My initial desire was to start in a European lower league or in South America but I will add/remove leagues as time goes on. I have started the save already and I'm currently in 2034, but I will post several updates to catch you up with where I'm at and how I got there. [FM18] MY FM18 CAREER Hello Everyone. Been taking a bit of a break away from FM but i cant stay away so i thought i would give the Career thread a bash again with a save with West Ham United.My reasons being,erm well i dont actually have any just fancied something a bit diffrent as i tend to play with lower league teams so we'll see how this pans out hopefully all goes well (Deep Breath)... So im using a Large DB with the lastest transfer file from over at Sortitoutsi.net to keep things upto date,Top leagues from around Europe loaded in giving me a player count of about 55k more than enough for a decent save i think.Lets meet the new manager of the Hammers then eh guys.. Fernando Marciano Born in Lisbon he retired early in his Portugese Career determined to cut it in the managerial world He knows his stuff thats for sure,Can only be a positive thing at least id say. Adequate enough reputation hopefully after some success that can change for the better. My First Career Update - Here Goes Nothing!!! Hi everyone, New to the SI Forum here go easy guys First of all i wish to introduce myself to the community as one of the new guys in the class,I’m going to embark on my first ever career update.I used to play online a bit on FM16&17 and a little on 18 but just have not got the time now really to be doing such,although i do like interacting still with other guys who play FM.Ive read a few diffrent threads and decide to give this a bash and see how it turns out.Im hoping it can be fun and worthwhile me doing all this in all honesty. What i have planned is to use a site called random.org and chuck all the playable nations into the generator and see what eight nations say come out,then it is entirely out of luck as to what nation and certain league that i start off in,from there i will then again chuck all the playable teams into the generator again thus giving me my selected team.A case of sheer luck as to whether i get a big team or a team from absolute obscurity,but the randomness sounds pretty fun i think. 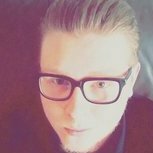 I hope you can all follow me along and maybe give me some tips or suggestions even as to how to maybe run my thread here,or even post thoughts on how my game is going so without further ado,lets go!!! Hello folks and welcome to my thread. Ive seen some interesting threads with everyone doing so well with there teams and showing them off to the FM community,so i thought again i would have a crack at doing a save and sharing it with everyone.I done a few before but they never really came to anything,so here goes. The leagues and nations that i have loaded up are in the next post,bit of a mixture as i hope to move around when the time sees fit to do so..